London is the capital of England and it has different districts and zones, each one with its own charme and beauty. It’s such a diverse and exciting city, so full of attractions that I don’t know where to start. 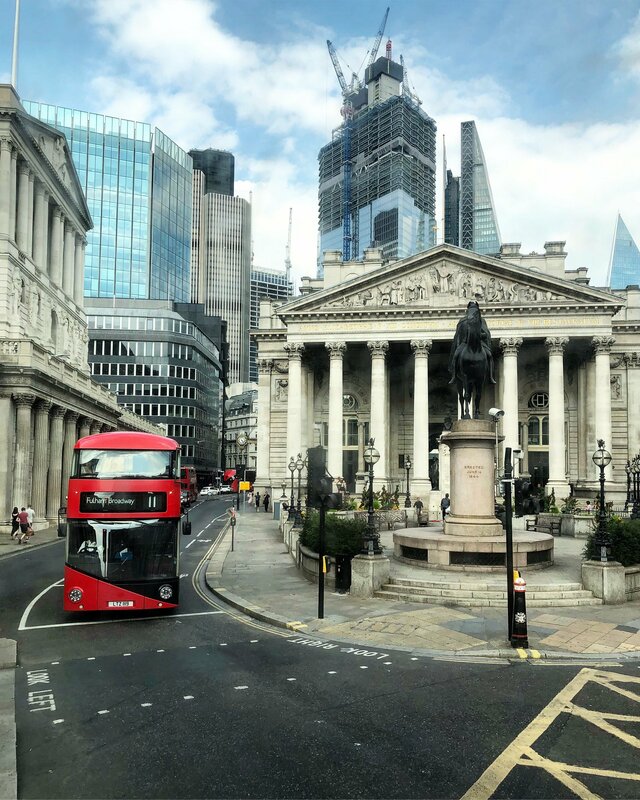 The city of London is the historic heart of London. It has been part of the Roman Empire. It has been built along Thames river. Nowadays, it’s more like a financial and commercial district with lots of skyscrapers and stately buildings. The riverside full of bars and restaurants makes London Bridge a vibrant and lively quarter. Around it, cultural events and iconic attractions are easy to find. 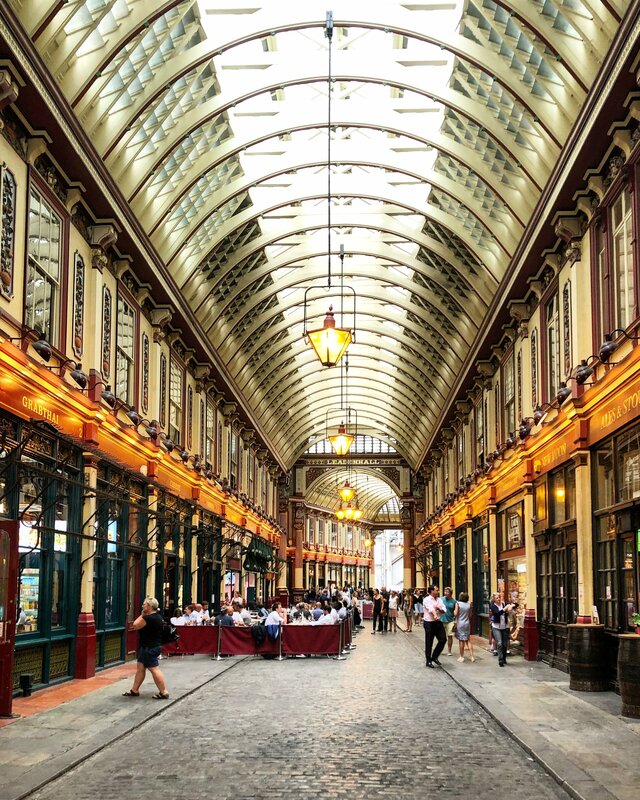 However, it’s still full of sights with an important history such as St. Paul’s Cathedral, the Leadenhall Market and different Museum. 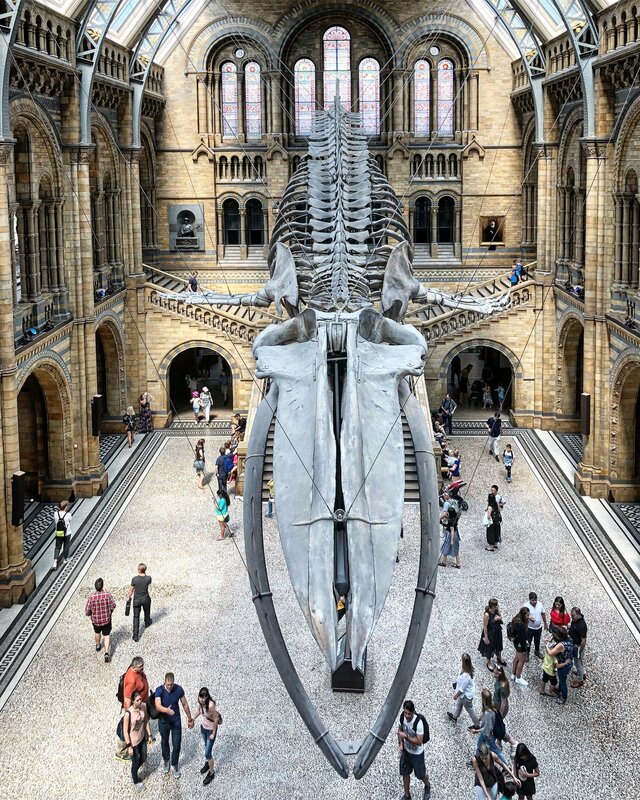 I fell in love with Natural History Museum. The shot shows its particularity. As I’ve already said, the city of London isn’t all about history. In fact, there are lots of modern architecture. 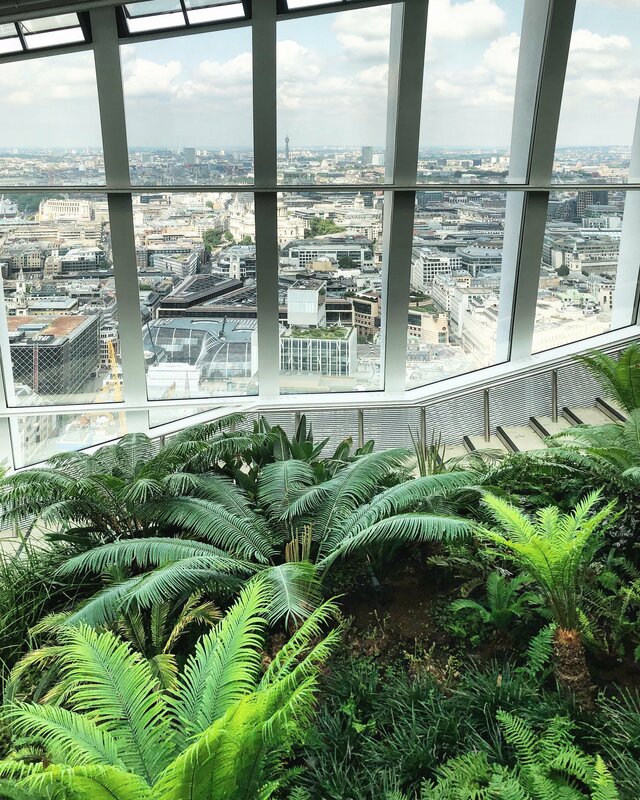 The Shard and the Sky Garden are only examples but it’s plenty of them. The view is unique from here. It’s quite on of the best sight for me. If you follow me on Instagram, you know that I love photographing colorful spots in the city I visit. In London I have found a lot of them, so get ready to see some. 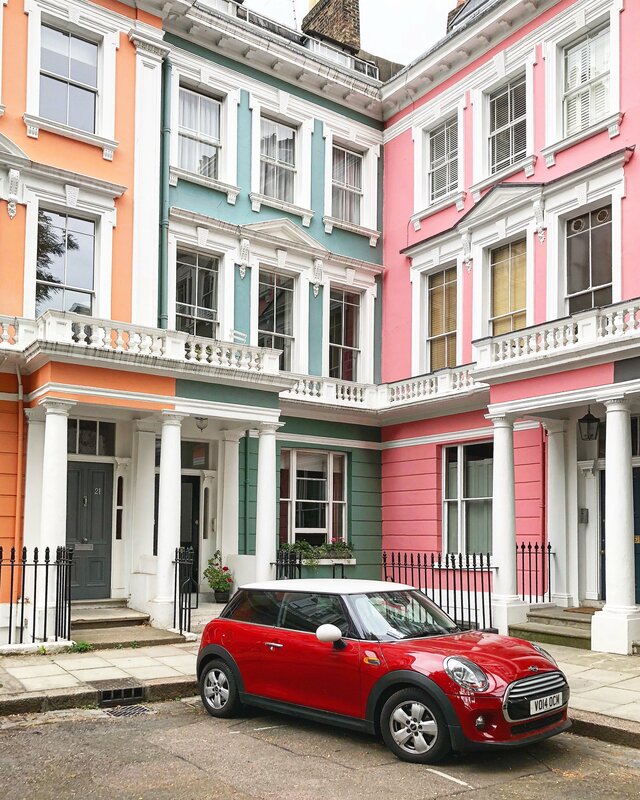 First of all, in Notting Hill you can find Lancaster Road, Portobello Road and St Luke’s Mews. The first two look like a rainbow and they put a smile in everyone’s face. 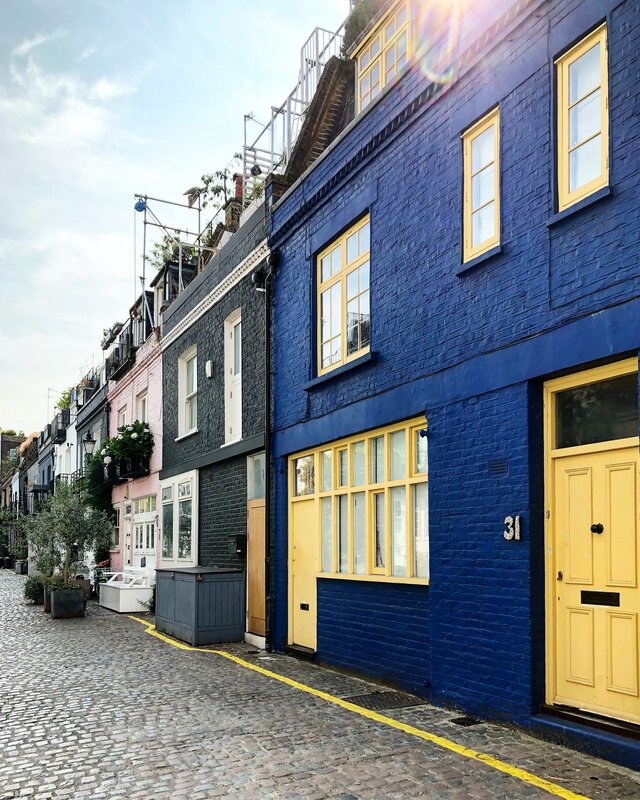 St. Luke’s Mews is pretty famous because it has appeared in a famous film Love Actually. 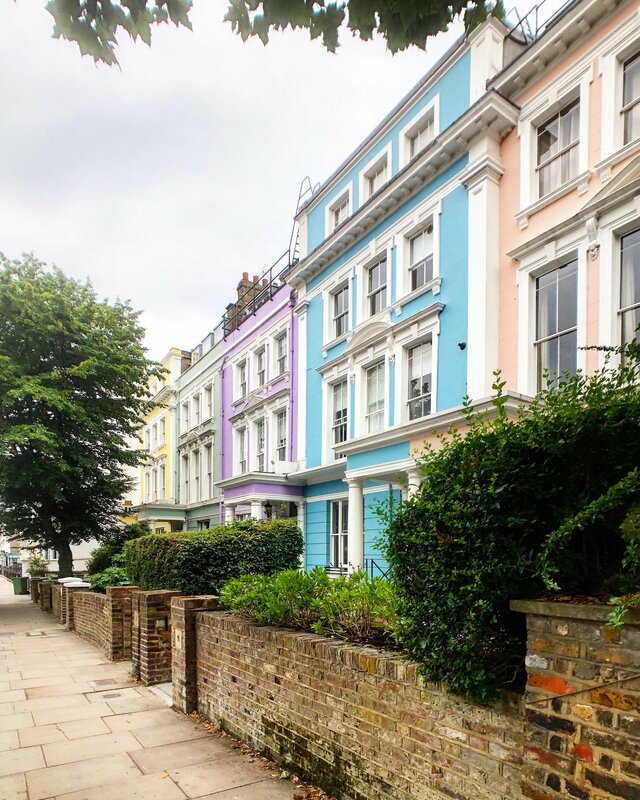 Primrose Hill has also pastel houses and very curated garden. Camden Town is a very nice and unconventional area in the city. It’s located in the north of London and it has something to delight every person, from the rocker to a hippie and so on. It’s perfect for shopping, especially if you like goth and punk clothing. The Camden Markets are worth a visit, too. Nevertheless, the Cyberdog is a futuristic shop with its own style. It deserves a visit! Secondly, you can find some great vintage gear in Stables Market: new and second hand clothes, shoes, accessories and different objects. The pubs can be find in every corners in this zone as well as live music venues and clubs. Thanks to this, it’s the ideal district for the nightlife. Camden Lock Market is instead the zone where you can eat something delicious saving money. There are food from all over the World here and it’s all cheap! Fantastic, isn’t it?! 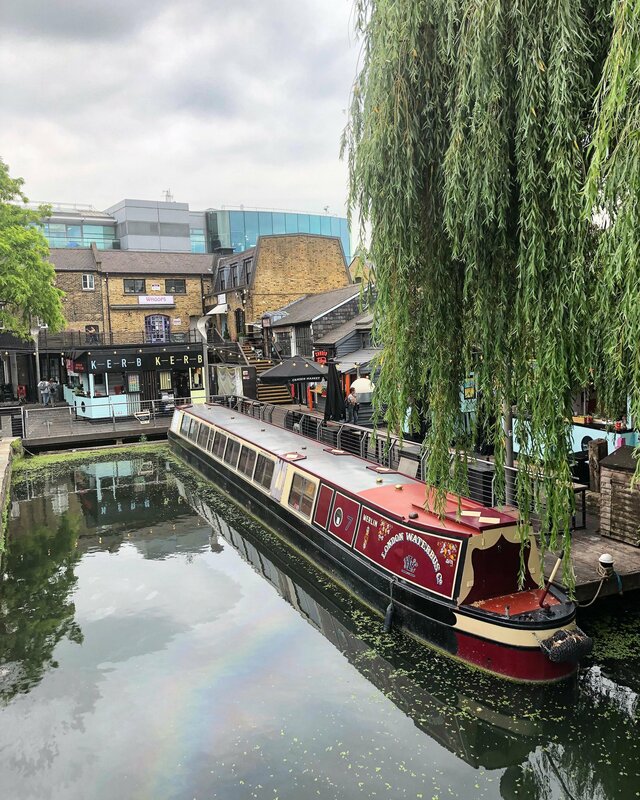 A visit to the area is not completed without spending some time strolling along Regent’s Canal. You can also take a boat from the Camden Lock Market to Little Venice. 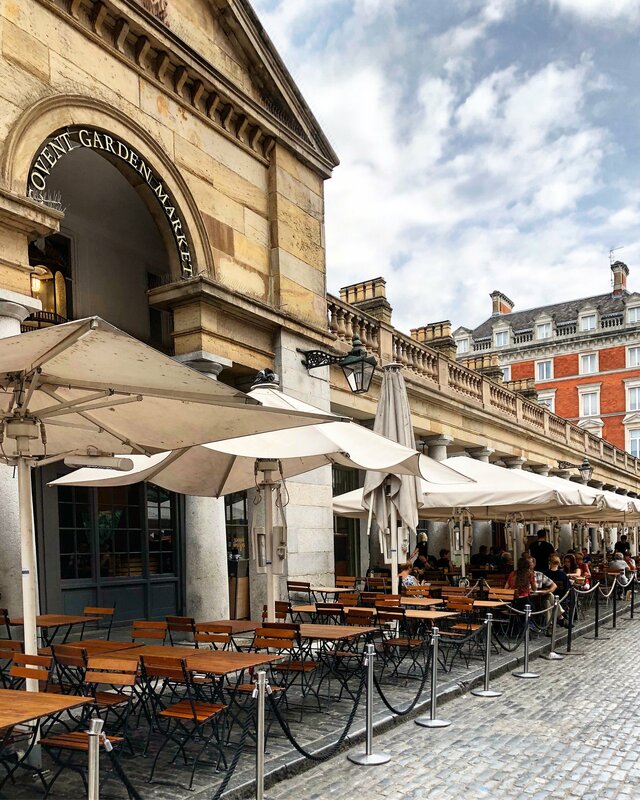 The name Covent Garden is the crippling of Convent Garden, precisely because it was born as a convent garden, which was subsequently expropriated and became one of the most important fruit and vegetable markets in England. The current structure was built later, when the area was redeveloped and now it has houses and craft markets, but also the boutiques of the most famous brands. 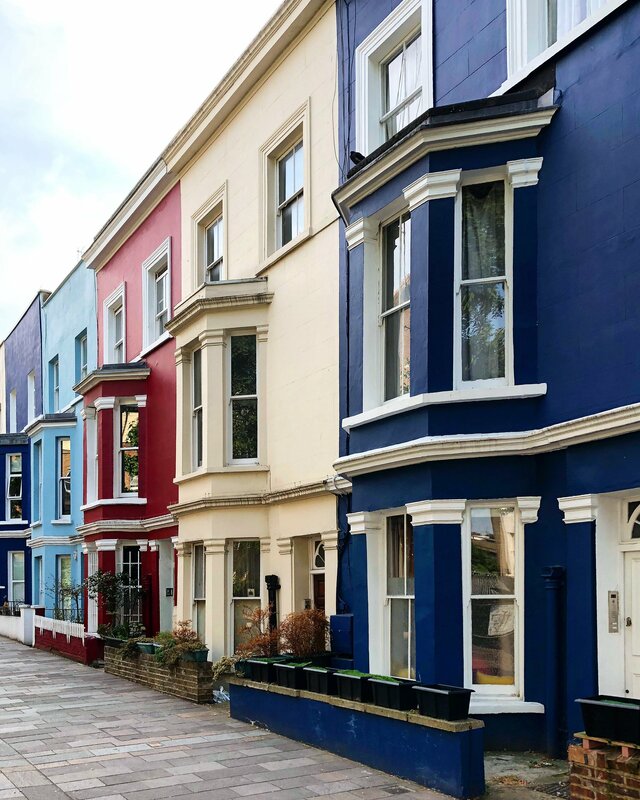 Surrounded by marvelous parks, shopping temple, fine restaurants, home to some of the city’s finest museums, Kensington is one of London’s most popular areas. 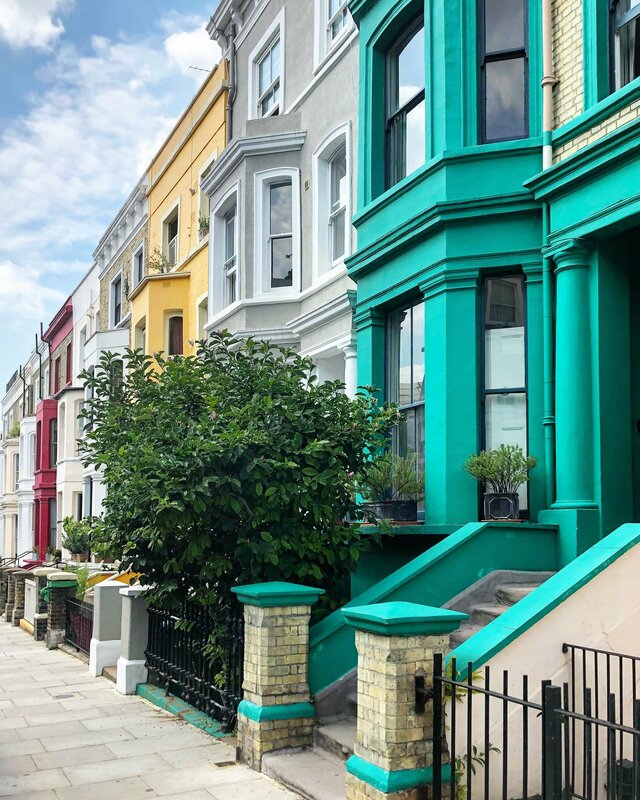 It is in the borough of Kensington and Chelsea that there are places like Harrods but there is also a Kensington more affordable for everyone, where you can survive and enjoy the wonders of the area without spending so much. Furthermore, one of the characteristics of Kensington is green, not only many private gardens, but also beautiful parks. Kensington Gardens is the continuation of Hyde Park and on the other side Holland Park. Gloucester Road is one of the main arteries of Kensigton, a residential street around which a series of small streets branch off. Here you can see mews and private gardens under the most classic vest of London till Earl’s Court. 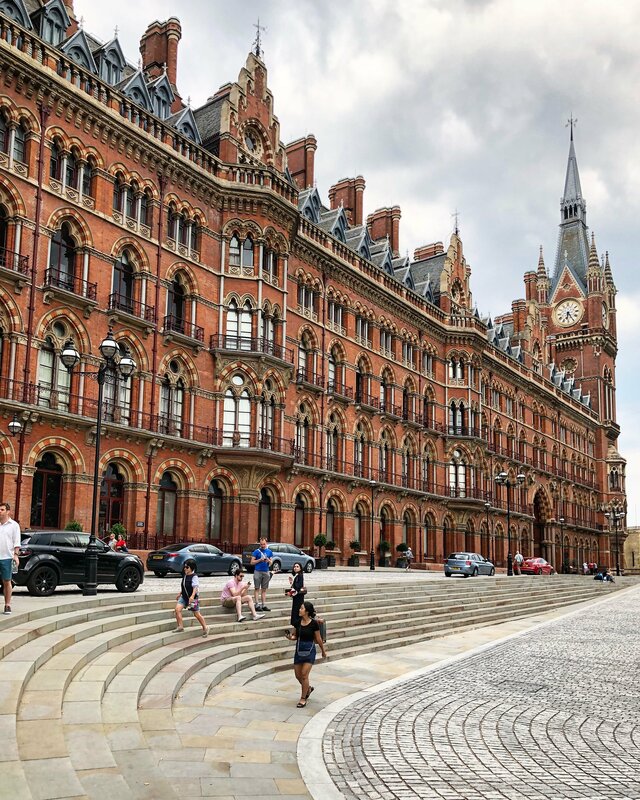 King’s Cross is one of the most central and ancient areas of London. Known as an undesirable area, it is today the most obvious example of the changes taking place in the city. In fact, the 80s are remembered as a dark period for the district: with an industrial past behind it, the area has been progressively forgotten due to the prostitution and drug traffic. Later, the warehouses were reconverted to artistic places and thanks to this things started to change. Nowadays it’s one of the most trendy zone in London. 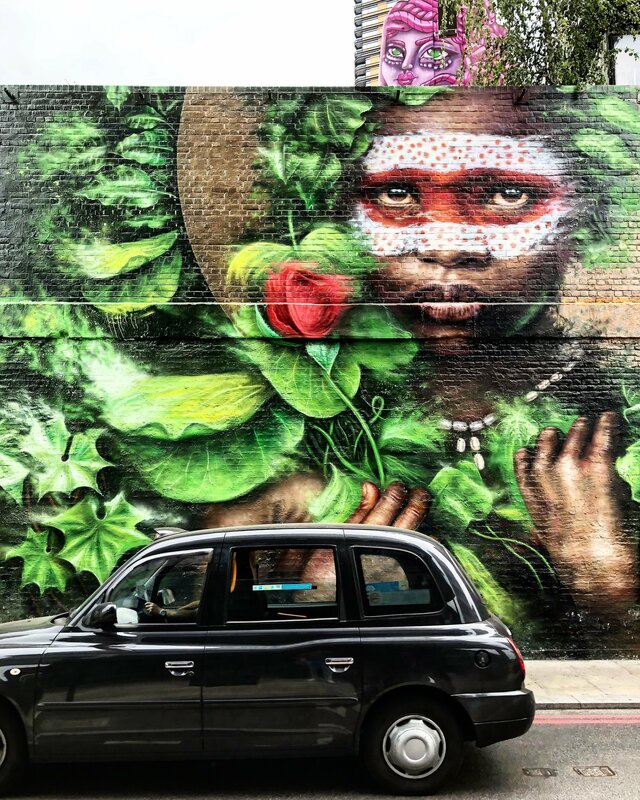 Shoreditch is the creative hub of London. In this East End zone of the city you can take inspiration by its streets. 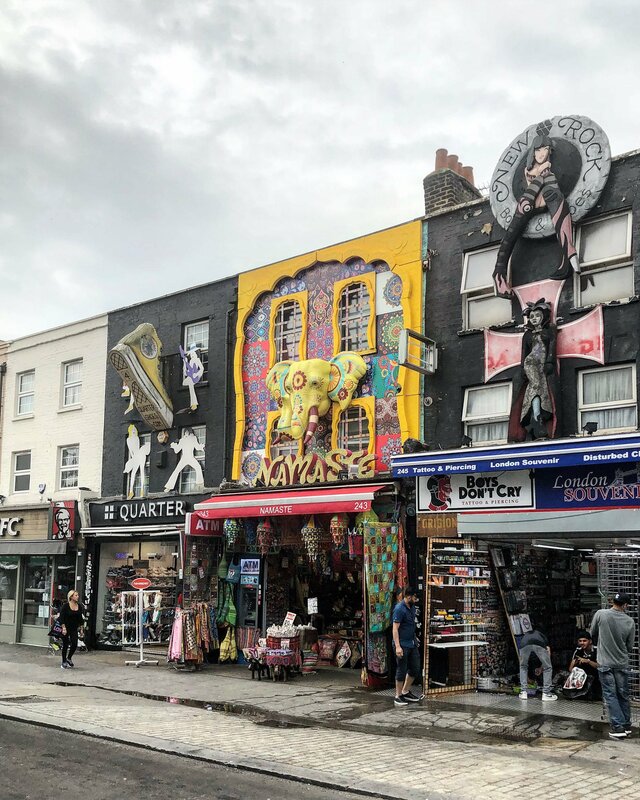 We recommend walking up in this district from Brick Lane to take in some of the area’s most impressive and creative murals. The artistic graffitis are stunning. Furthermore, the shops sell unique clothes and accessories because they are more like independent boutiques and vintage shops. The stuff is unique and unconventional. On the north bank of the Thames, we find the heart of London: Westminster. 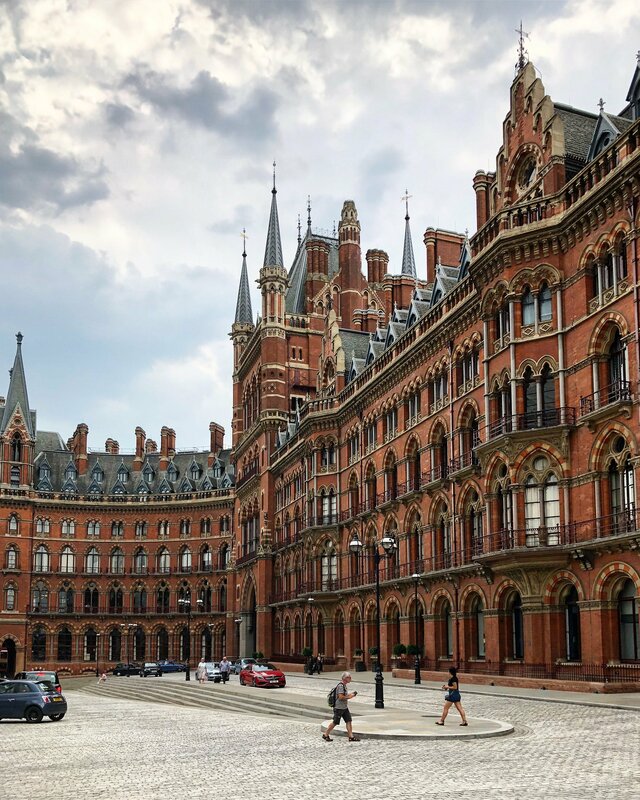 It is the district of the most iconic attractions and sites of historical interest, such as Big Ben, the United Kingdom Parliament, and Westminster Cathedral. But there is much more. If we go down to the Westminster metro stop, you will see for sure the famous Big Ben. It’s the largest bell in the Elizabeth Tower, which is the only tower to the north-east of the Palace of Westminster where visits are permitted. Continuing to walk, the Palace of Westminster, also known as the Houses of Parliament, revealed all its majesty. Here we find the two chambers of the English Parliament: the House of Lords and the House of Commons. From the Victoria Tower, at the end of the Palace of Westminster, we cross Abingdon Street and arrive at the Jewel Tower. From here you can reach Westminster Abbey. This extraordinary place is in Gothic style and is UNESCO heritage. Its beauty is kinda unique. During my trip to London, I stayed in a familiar and friendly hostel in King’s Cross, so in the very center of the city. It’s called Clink78 and here you can find the link to its website. I slept in a single room with private bathroom but there are lots of different rooms in the building. It’s easy to reach it due to its position: a few minutes on foot from the St. Pancras Station. The staff is friendly and knows the city very well so they are always ready to give you some tips or recommendations. 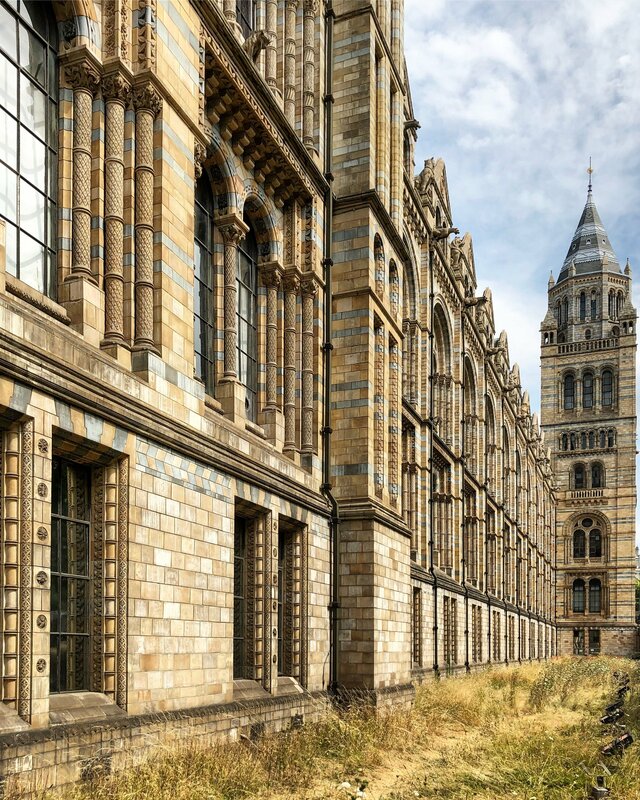 it offers also free walking tours and that’s a great way for strolling through London. There is another one in the city, called Clink261 located in a very good position, and one also in Amsterdam. The forniture is modern and the story of the foundation of this brand is pretty cool. Two young backpackers and sisters, Anne and Shelly, decided to create their own hostel after traveling through the World. Taking inspiration from the places where they stayed, they first of all open the doors of the Ashlee House, later renamed as Clink261. ‘Clink’ is an old English slang word for prison, and with its old prison cells and courtrooms, the name seemed perfect for their idea. Congratulations girls for your success! I surely recommend it for visiting London. If you want to make a trip in England countryside, here is my suggestion. 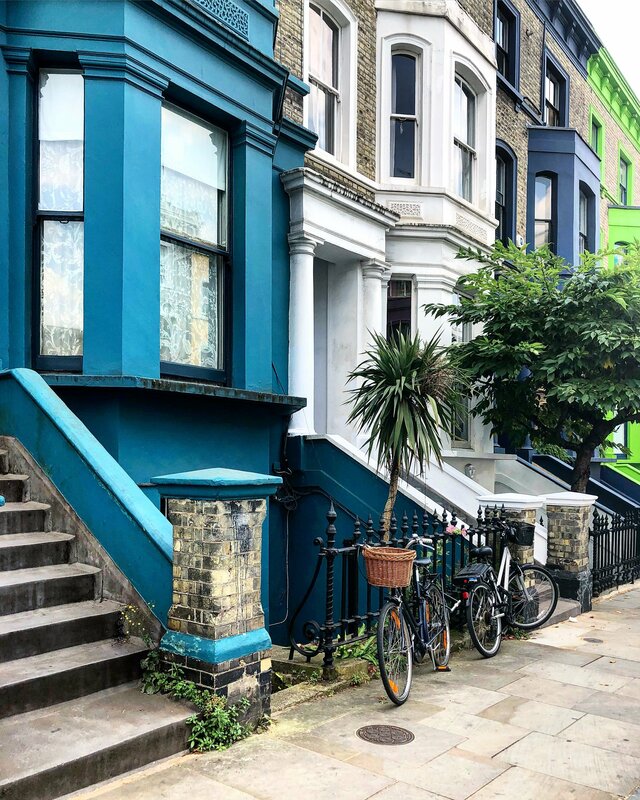 I just shared your post with my husband who lived in London for over 2 years and had not heard or seen so many of these spots. Your photography is amazing and so is the selection of these places. Great post. Your photos make any place look just incredible! I love St Luke’s Mews, it’s so colourful, and the setting of an excellent movie too! 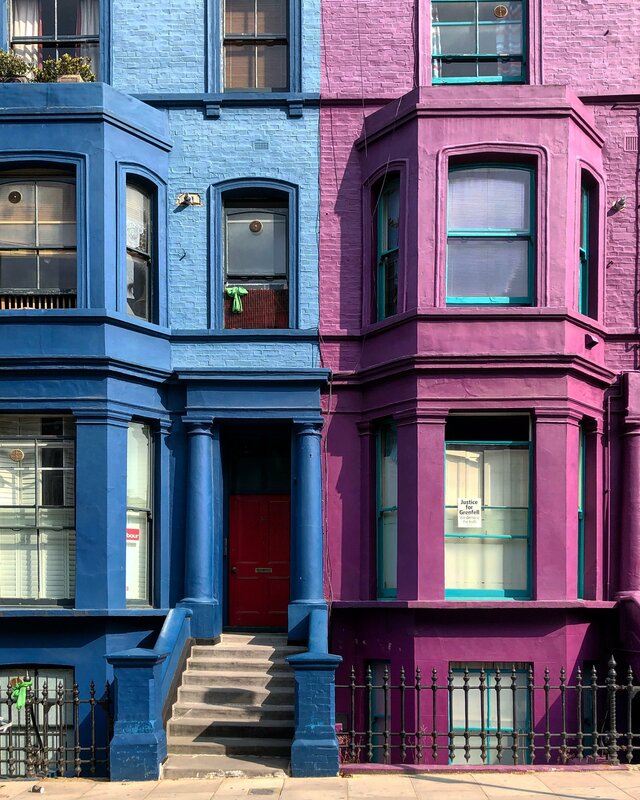 The colorful houses are something we’d like to see, perfect for good photos and Camden Town is a very cool area!! What a fantastic post, Daniel! As a cruisetour planner, I particularly found your blog post most intriguing. From increasingly popular British Isles’ circumnavigations to Iceland, Baltic Sea and longer itineraries that travel as far as South America, London is on the rise as a cruise destination – both as a port of call and a port of departure where you can begin and/or end your cruise. 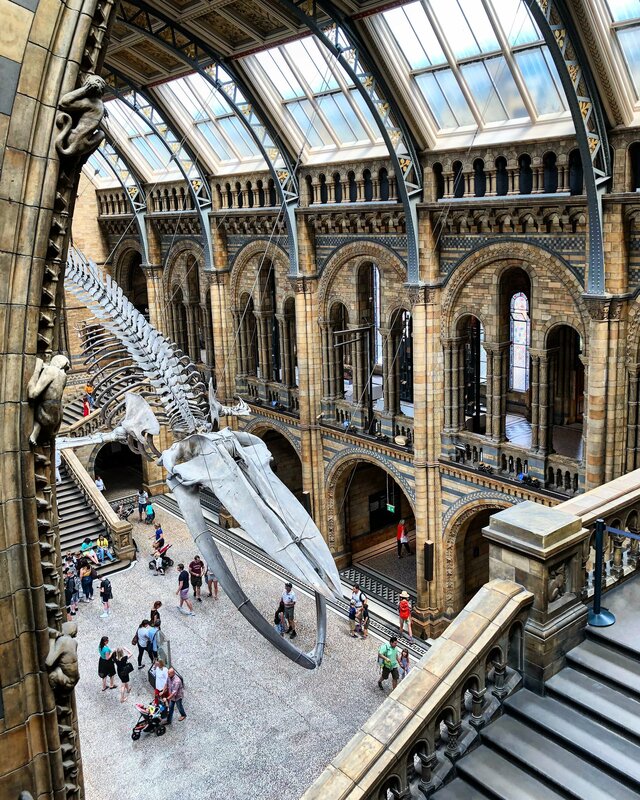 Diverse, ethnically and linguistically, London offers an intoxicating mix of grandeur, history, style and culture. From ancient streets, leafy parks and grand architecture to iconic landmarks, neon lights, world-class shopping and a hip arts scene, there’s nowhere in the world quite like this thriving metropolis! 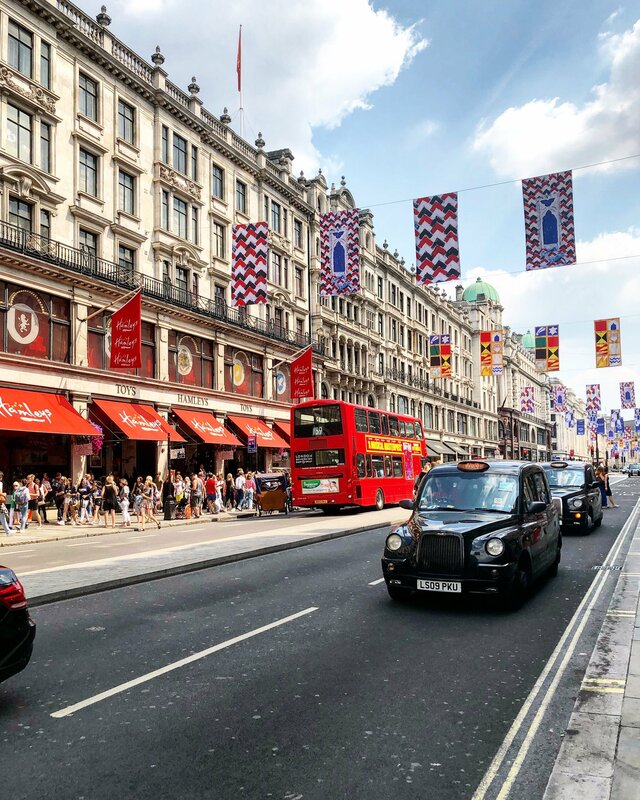 Visitors typically spend most of their time in and around the West End, where London’s main attractions are located: Piccadilly Circus, Charing Cross Road’s book shops, Covent Garden, Soho, Regent and Oxford Streets, Trafalgar Square, Leicester Square, Carnaby Street. Farther west are the pricier neighborhoods of Belgravia, Chelsea (Kings Road), Kensington (Kensington Palace, Albert Memorial, Royal Albert Hall), South Kensington (Science Museum, Natural History Museum, Victoria and Albert Museum), Knightsbridge (Harrods, Harvey Nichols), Mayfair and Notting Hill (Portobello Road). So I appreciate you suggesting some unconventional streets and spots for travelers with a passion for exploring off-the-beaten path and a taste for authentic experiences not offered in more “touristy” itineraries. 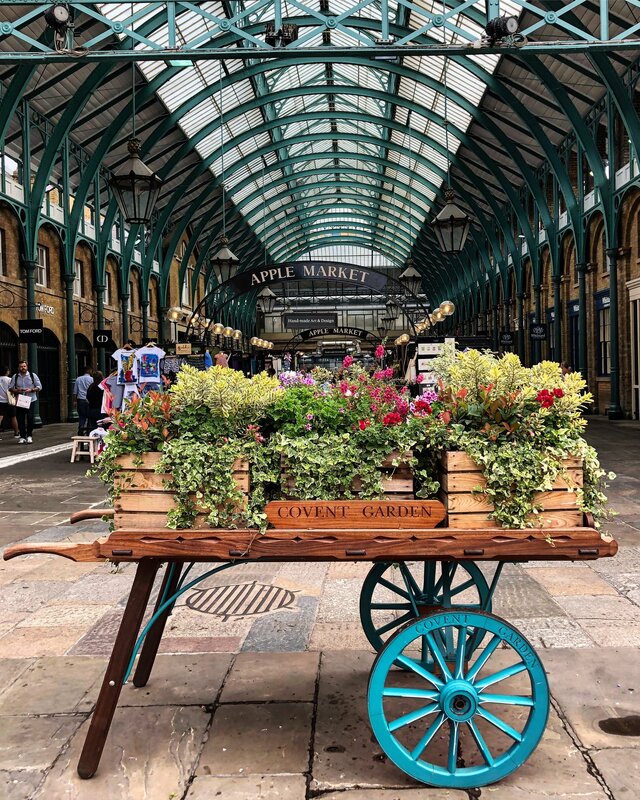 Since I always encourage my clients to consider a pre- and/or post-cruise stay in their port of departure, I’ve already pinned your blog post to share with those visiting London. I’ll also share it in my Facebook travel group. Thanks for making my job easier! 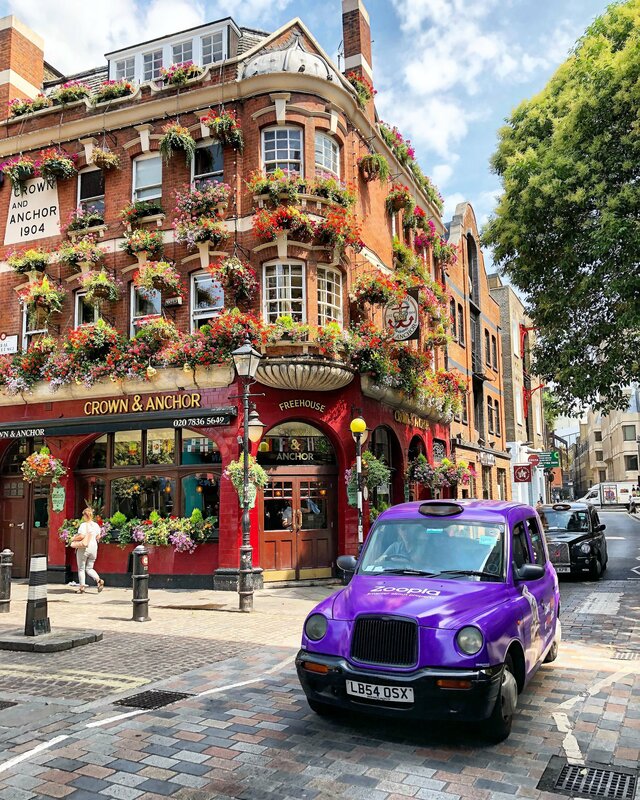 I invite you to follow the backlink to my blog post and share in the Comments, for posterity’s sake, your insights as to why a cruise vacationer should consider extending their stay in London. Best wishes and happy travels. Ahh! 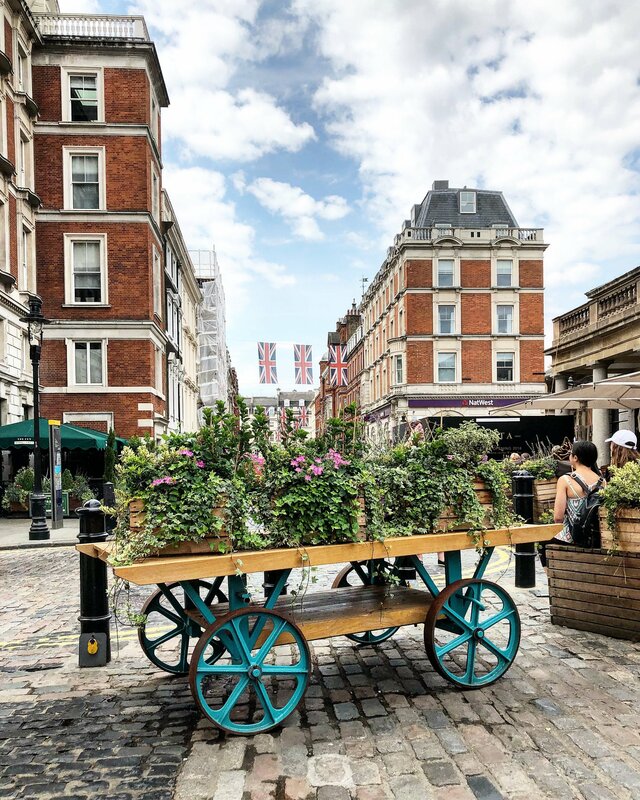 All of your gorgeous shots make me want to go back to London! I really enjoyed the old and new architecture coexisting so well in that city. I absolutely love this article. It is so refreshing and colourful. I will plan a trip to London when the money is available. 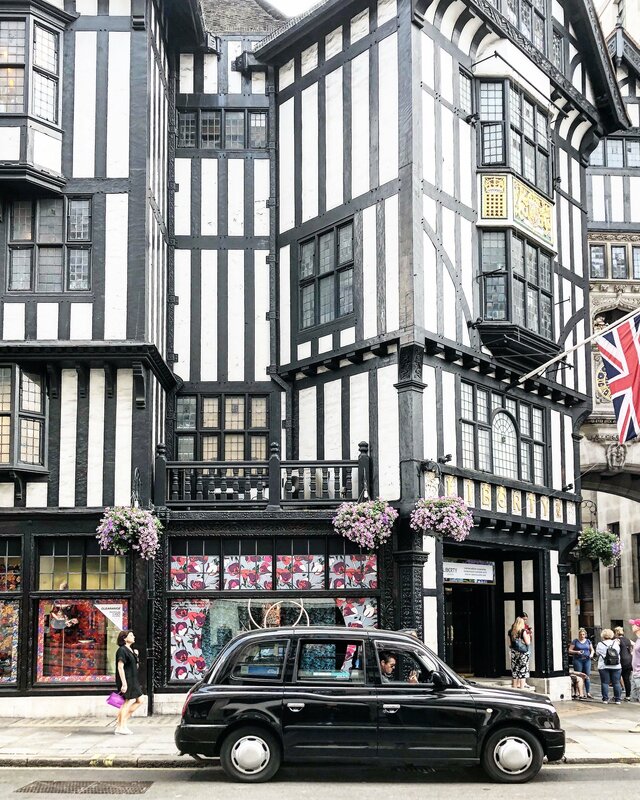 Wow great job showing London’s personality in your photos! You make me want to go there! I love the colorful houses and all the flowers! Nice! You have shown me some new things in London. I love these streets. I would love to go around them with my camera and make some shots myself. I am a street photography enthusiast. This was a lovely article. Your pictures are amazing too! You’re making me want to pack and visit right now!